Beautiful boutique studio in the heart of Ascot. 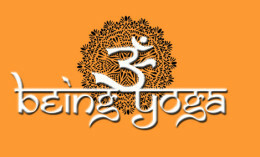 We offer flowing vinyasa yoga classes for all levels, beginners to advanced, every day. Our team of highly qualified teachers aim to safely align your body, while giving you a fun, creative experience of fluid movement, breath and stillness. Being Yoga offer fully certified Yoga Teacher Training courses, Levels 1 & 2 in Brisbane, on the Sunshine Coast and in Rockhampton for those who wish to deeply explore this transformationalpractice. Ever popular are our 3 day yoga & 4 day meditation retreats on the Sunshine Coast as well as week long retreats in Ubud, Bali. We also offer 6 week Pregnancy Yoga courses as well as 5 week Calm Living meditation courses.